You’ve heard about LCDs. You’ve also heard about LEDs. LED is a newer technology which is gaining popularity due to its sleek looks and Eco friendliness. Let’s take a look at why you might want to consider buying an LED TV instead of an LCD TV. Does LCD have an upper hand on LED? 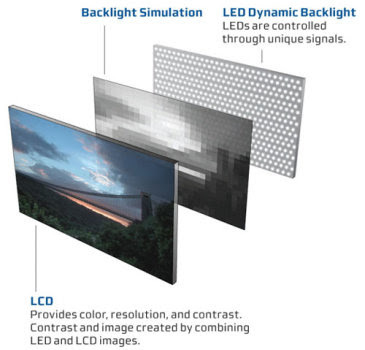 If we compare LED LCD to normal LCD we find that the major difference lies on how they project images on the screen, but how can we perceive the difference between the customary LCD and the new-fangled LED? In a layman language, Normal LCD’s use CCFL (Cold Cathode Fluorescent Lamp) which acts like a light bulb thus distributing light around the screen while LED uniformly lights the screen and hence eliminating the non-uniformity issue which is faced in LCD’s. Further, if we use the dimming feature, LED technology helps by cutting portions of light which are not required as per the image and hence precising the colors and achieving deeper black levels. Can normal LCD deliver the deepest black? The answer to above question is No. Watching LCD can be a splendid experience if it has a back light to illuminate the pixels, and this back light technology accompanied by local dimming is provided by LCD LED, thus the pixels are never opaque as an external light is showered on them and you can experience the dark scenes as they are and not grey or dull! Sitting on your couch, would you like to experience Bahamas, the orange sunset, the blue seas? This can come true if you bring true colors and appropriate contrast levels to your television. The contrast is the key area where you can make out the difference between the normal LCD and LED. A good TV must have contrast ratio so that the black and white areas could be well distinguished and are not greys. A normal LCD does not have well defined contrast ratio because the CCFL backlight dims thus making the black not so convincing whereas the LED backlight of LED TV’s, because of its uniform projection, arranges itself in an off position in the black parts of the image and thus projecting a more promising black and hence a better picture quality as compared to LCD TV’s. 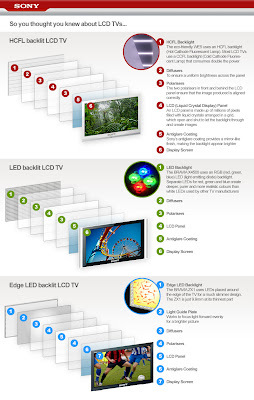 When it comes to the Color some LED TV use dynamic RGB LED and some use edge- LED technology .If you want to go with an extremely thin TV Set then go with Edge-LED technology and if you need better color quality then go with LED TV with RGB LED technology. Edge-lit LEDs consume, less power than LCDs of same size while LCDs consume less power than local dimming LEDs of same size. If you would like to see action scenes, play video games and other fast paced scenes without blurring of motion or a lag then LED is better option as it has a faster refresh rate than normal LCD TV. If you love to see yourself slim then why not you TV set! Well the LED TV with the all new edge technology is a real heart throb, with a slender design on which many eyes turn to have a second look plus less power consumption than the basic LCD model. So if you care about your environment’s health then this would surely capture your heart. Before making a choice between LCD and LED let’s compare the two. Expected life span is 100,000 hours. 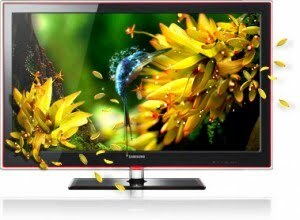 If you are not waiting for the prices to go down, and you are a home theater enthusiast then LED TV is worth buying.